travel for my day job, so I'm really looking forward a month without too many obligations. things. What's on your summer list? Please tell me. Maybe I need to add them to my list too! Also, I'm declaring this summer to be the summer of pie. of attention around here, but that's all about to change. Say hello to the summer of pie. 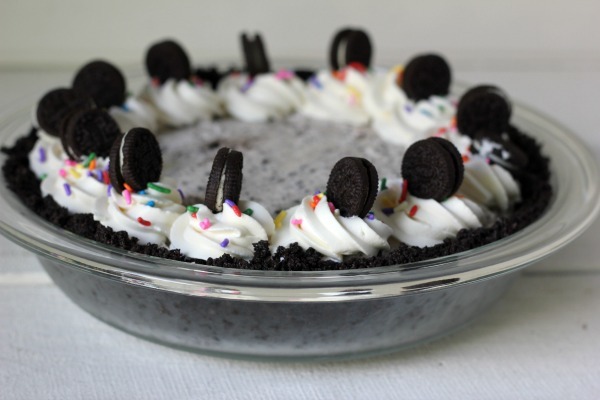 Over Memorial Day weekend I made a delicious refrigerator pie made with Oreo cookies. 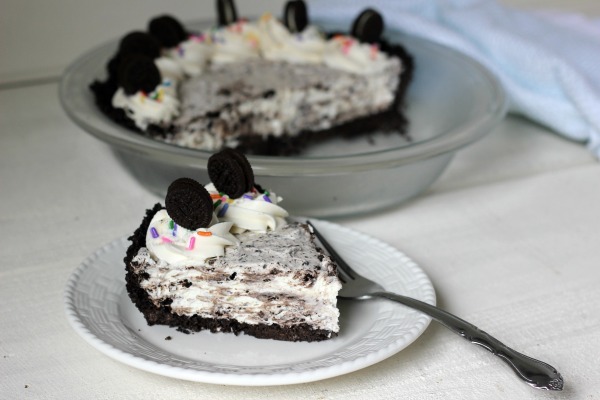 Who doesn't love Oreos - right? 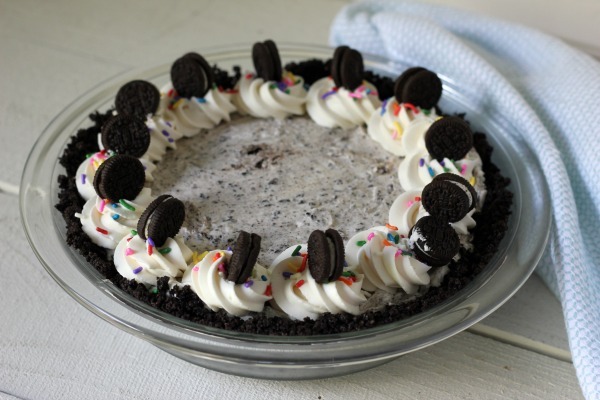 pie plate. Refrigerate while preparing the filling. Chop or pulse the 10 remaining cookies into crumbs; set aside. In the bowl of a stand mixer beat cream cheese and sugar until light and fluffy. 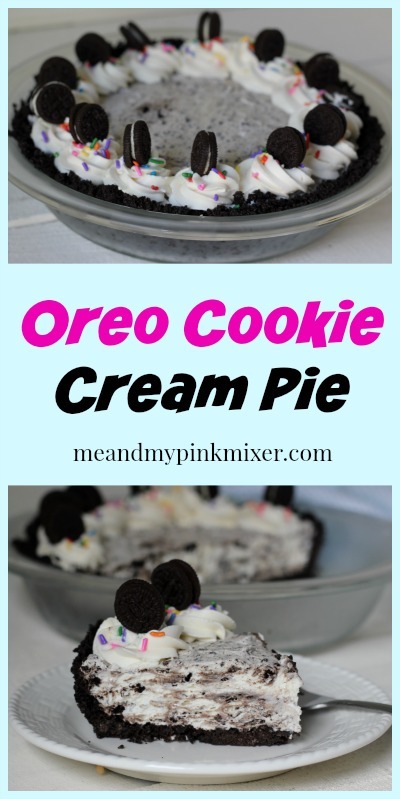 Fold in the whipped cream and cookie crumbs and stir until combined. 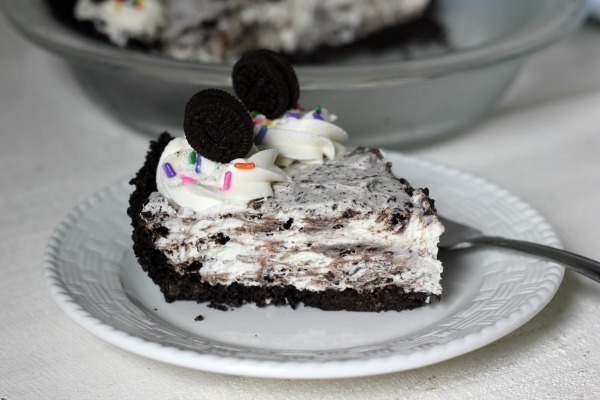 and sprinkles, if desired. Refrigerate several hours before serving.